Ichabod Crane, a lanky, lean, superstitious school master, arrives to teach the children of Sleepy Hollow. As he vies for the attention of the lovely Katrina Van Tassel, his rival for her attention is the town rowdy, Brom Bones. Brom tries to scare Ichabod away with local superstitions and ghost tales. And soon enough the ill-fated schoolmaster encounters a terrifying legend come to life: the Headless Horseman of Sleepy Hollow. 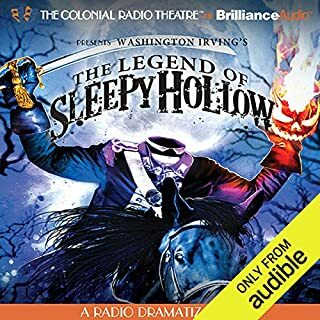 Jerry Robbins and the Colonial Radio Theater have created an outstanding example of radio drama capturing Washington Irving's shadowy tale of marauding ghosts and goblins. Both entertaining and well performed, and complete with an original music score! Top notch and the CRT follows the short story closely. Perfect for Halloween and family friendly and a great listen anytime. Well worth your investment. The adventures of Captain William Taylor; his son, Adam; Mohawk scout Dagadawidah; and Captain Campbell of the 42nd Highlanders continue at Fort Ticonderoga during the French and Indian War with the final six episodes of the series. 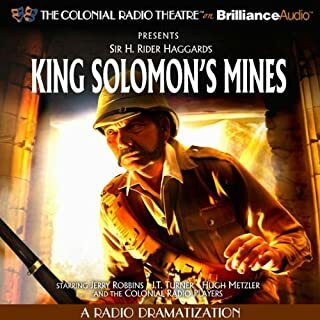 A full cast audio drama from the award-winning Colonial Radio Theatre. Captured by Season 3! Run out the Canon! Jerry Robbins and the Colonial Radio Theater have brilliantly written and performed 8 episodes of adventure here. Season 3 of Ticonderoga continues characters established in Ticonderoga, the magnificent adventure set during the French and Indian War. No spoilers here, yet I will state Season 3 is well worth your time and totally family friendly. If you like movies like the Last of the Mohicans you will love Ticonderoga Season 3! From the gold standard of radio drama and adventure, the Colonial Radio Theater. An ex-marine on the run from the nightmares of war. An American scientist and his beautiful wife on a desperate journey to save their marriage. An aging native shaman trying to teach his grandson one last all-important lesson. All are headed up an uncharted river into a confrontation with a mysterious warlord trapped by a deadly curse. Please release more! Excellent book! 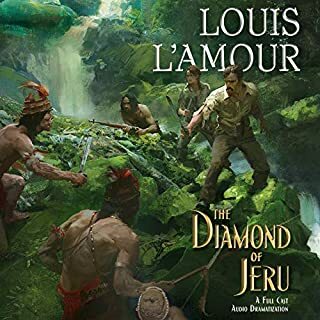 This audio version of the diamond of jeru is my favorite, over the movie and short story. Reinforced by sound effects, dialect appreciation, and great performances, the story comes alive in your mind as Mike Kardec seeks his own redemption through misadventure and self awareness. A delight to listen to and highly recommended! Within each man, there lies the capacity for infinite good...and infinite evil. Dr. Henry Jekyll: Good-natured, friendly and sociable. Mr. Edward Hyde: Misanthropic, violent and uncontrollable. Prosecutor Gabriel John Utterson, a friend of Jekyll’s, is about to be plunged into the worlds of both men - and will discover the terrifying secret that binds them. 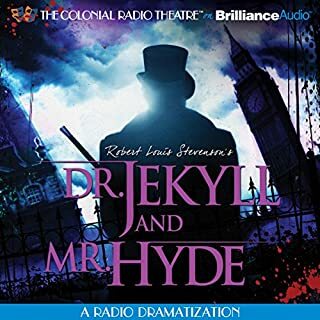 From the rain-slicked streets of London to the innermost depths of the human psyche, the Colonial Radio Theatre brings Robert Louis Stevenson’s masterpiece to life. Loved the dramatized version of this book. Jerry Robbins and the Colonial Radio Theater have created the best example of Stevenson's creepy tale of good and evil. Their expression follow's the book and it's a great listen for the whole family. Highly recommended! 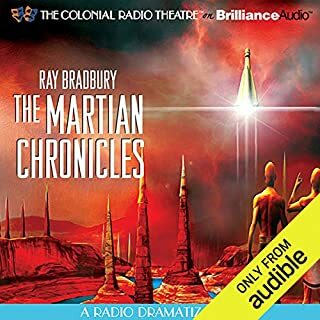 Jerry Robbins and the Colonial Radio Theater have created the finest audio production bar none of this Bradbury classic. Not to be missed and highly recommend! A brilliant adaptation of Haggard's timeless classic by Jerry Robbins and the Colonial Radio Theater. Follow's the book and great fun for the entire family. And arguably the best expression of this story available, highly recommended! 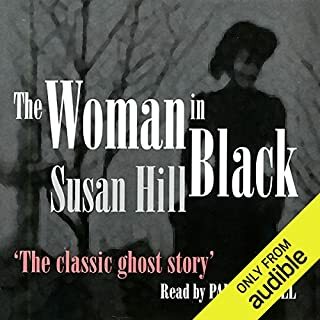 These audible stories feature all the original characters and they're a great listen. 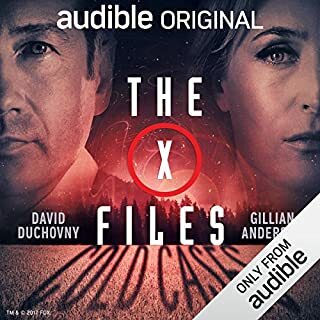 Even if you've never watched the show these stories are a delightful introduction into the I want to believe universe of the X-Files. Great fun and highly recommended! A young impressionable lawyer, an old house, a sinister secret, a village in terror. Susan Hill conjures a fine tale from the English tradition mirroring the terrifying tales of M.R. James and Reggie Oliver. Well read by Paul Ansdell. What made the experience of listening to Kentucky the most enjoyable? Experiencing James Otis's work for the first time, through the excellent dramatization by the Colonial Radio Theater. What was one of the most memorable moments of Kentucky? The set up and introduction of all the major players and how their story(s) unfold. Actually I paid more attention to the characters and their lines and how these propelled the story along. CRT really knows how to blend detail and action in a single sentence. I thought CRT's production of Kentucky was a great listen and I'm looking forward to more in the spirit of America series. 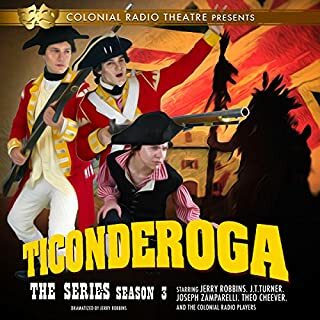 The adventures of Captain Taylor; his son, Adam; Mohawk scout Dagadawidah; and Captain Campbell of the 42nd Highlanders continue at Fort Ticonderoga during the French and Indian War in this full-cast action and adventure audio drama by the award-winning Colonial Radio Theatre. 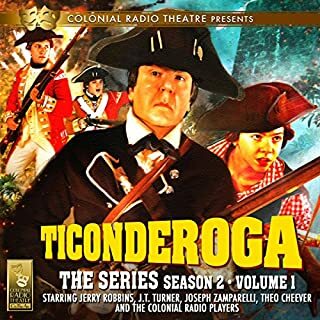 Jerry Robbins and the Colonial Radio Theater have scored again in season 2 of Ticonderoga, the series! All the major characters star in this production and my favorite episodes are the servant girl and the medicine man. Both are stellar examples of writing and story telling. All 7 episodes set the bar high in radio drama and action adventure! Listers beware you will get hooked. Outstanding Radio!